Anti-CCTV graffiti on the wall of the British Library. Wikicommons/ Oxyman. Some rights reserved. This article launches a new section of the Great Charter Convention dedicated to debate and analysis of democracy, politics and freedom in the digital age. It is clear that we are at a crucial historical juncture. The issues around state power and surveillance raised by Edward Snowden’s revelations should be an important theme in the upcoming general election, while the symbolic double anniversary of Magna Carta (aged 800) and the web (aged 25) offers an opportunity for critical reflection on how to upgrade fundamental liberties in response to new threats and re-imagine how technology can serve the common good. We are to a great extent playing catch-up. The rapidity of technological change has vastly outpaced the development of our laws, institutions and regulatory systems, along with the articulation of the ethical categories and principles with which to understand and evaluate them. Under the rubric of state security on the one hand and commercial openness on the other, we are being lulled into an online world of fear and control where our every move is monitored in order to more efficiently manage us. It is a far cry from the utopianism of the early internet era. The open architecture of the internet still offers fantastic possibilities for human liberation. It has provided new tools with which citizens can organize to contest power and challenge official narratives. As with any new technology however the internet was introduced into a society already marked by economic and social hierarchies. In the absence of countervailing forces, dominant groups have largely determined the direction in which the technology has developed and as a result it has reinforced the dominant neoliberal paradigm of unfettered markets and property rights buttressed by increasingly authoritarian states. Faced with this reality, how do we protect and enhance human freedom? Is it enough to apply earlier claims of rights to new circumstances? Or does the current regime of power and surveillance demand that earlier ethical categories have to be rethought or even entirely replaced? What are the collective institutions and structures required for an internet based not solely on profit but on human flourishing? These are the broad questions we will explore. Though it would be foolish to pretend a document drawn up by feudal barons contains the answers, the Magna Carta furnishes a rich tradition of resistance to arbitrary power to inspire and orientate contemporary struggles. It has, as Peter Linebaugh reminds us, always been a ‘work in progress’ with a symbolic vitality that animated the later democratic demands of the Levellers in the English civil war, campaigns against slavery and anti-imperial struggles in America and elsewhere. Despite appeals to self-evident and timeless truths, rights have always been a historical project, expanded from below by political struggles that radicalised the core principle of human freedom and applied it to new political subjects in new domains. Now the inventor of the web Tim Berners Lee has challenged digital citizens to help draft a ‘Magna Carta for the web’ as part of the wider Web we Want campaign. The group hopes to mobilise global public opinion around a set of core principles of free expression, accessibility, privacy, openness and network neutrality. They are showcasing their campaign with a series of festivals at London’s South Bank (with the next one in May), adding to the excellent work of Open Rights Group, Privacy International and other established campaign for digital rights and freedoms. The call for a new set of safeguards is the very opposite of Tory proposals for a ‘British Bill of Rights’ to replace the Human Rights Act. The ruling party’s view is based on a reactionary and minimalist view of Magna Carta as ‘enough’. This is antithetical to the document’s radical historical tradition and the role it played in shaping the modern idea of human rights, including Article 8 on the right to privacy in the European Convention on Human Rights that can be traced back to the right for respect for one’s home in English law. The parliamentary assembly of the European Court has called the scale of GCHQ’s spying ‘stunning’ and found it in violation of rights to privacy, free expression and a fair trial. If a future Tory government carries out its plan, and withdraws from the European Convention, the UK government would be embracing pariah status; the first worldwide to introduce a new bill of rights with the aim of providing fewer rights to its citizens. If a future Tory government carries out its plan, and withdraws from the European Convention, the UK government would be embracing pariah status; the first worldwide to introduce a new bill of rights with the aim of providing fewer rights to its citizens. Without the protection of European human rights law, UK citizens will be left systematically vulnerable. Ed Miliband has at least committed to retaining the ECHR yet he has typically fudged the issue of mass surveillance and failed to take a principled line, despite initial promises he made to reverse the authoritarian inheritance of New Labour. Naturally, any debate about state power and the role of technology cannot be divorced from wider arguments about the kind of politics and society we wish to create. The legal scholar Julie E. Cohen points out the parallels with the era of industrialisation where transformations in technology and the accompanying social upheavals brought with them new threats to human freedom. Violent processes of enclosure robbed peasants of their traditional way of life and subjected them to new humiliations and cruelties in the factories. It took years for workers to develop effective forms of organisation through trade unions and to name and diagnose the harms that underscored moral claims to limits on the working day, decent pay and conditions, and later to a social minimum from the surplus they produced. We now find ourselves in a new industrial revolution – the second machine age. We now find ourselves in a new industrial revolution – the second machine age. The net offers novel threats and organisational challenges, as well as new possibilities for human flourishing. With the spying agencies and corporations pushing through a new infrastructure of social control in pursuit of state power and limitless accumulation, it is up to us, as digital citizens, to fight back and define a new regime of protections and entitlements. There are a number of themes to this debate that we aim to explore, drawing on the insight of the many excellent campaigns and experts working in these areas. It is almost two years since Edward Snowden first exposed the fact that US and UK spying capabilities are far more sinister and advanced than anyone reasonably feared. GCHQ has ‘tapped’ the submarine fibre-optic cables transporting internet data in and out of the UK to give it blanket powers to monitor our so-called ‘meta-data’ that reveals the who, when and where of our communications and browsing history. They have behaved like a criminal gang, hacking phone companies, along with the NSA, to steal millions of records and using coercion and infiltration to bypass the encryption protections used by private internet companies. This has all been done indiscriminately in the name of fighting crime and terrorism without prior authorisation and zero transparency. Astonishingly, we are asked to believe it does not amount to mass surveillance but in fact ‘bulk interception’, on the basis that not everything is being read by a human being. Just how much precisely is read was redacted in the recent report by parliament’s craven Intelligence and Security Committee. In any case, all our information is still stored and monitored by algorithms engineered by human beings. It is rather like someone installing CCTV cameras in your house while insisting it is not surveillance because only a small amount of footage is ever watched (and refusing to say how much). It is rather like someone installing CCTV cameras in your house while insisting it is not surveillance because only a small amount of footage is ever watched (and refusing to say how much). The philosopher and social reformer Jeremy Bentham had a more sophisticated (and honest) understanding of how power operates in his design for a panoptical prison to control inmates. The design features a central viewing chamber with a system of mirrors that allows a single guard to keep watch on the entire prison population in their cells. Bentham understood that the guard did not have to watch any given cell for the surveillance operation to work: the prisoners would internalise the gaze of the authorities and regulate their behaviour accordingly. Michel Foucault extrapolated from this design the logic of an entire ‘disciplinary’ society composed of submissive subjects, controlled not through force but through an idea into self-regulated ‘automatic docility’. 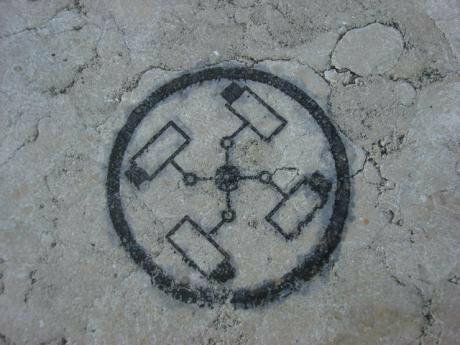 The government is putting in place the surveillance infrastructure of a vast open air prison. It insults human dignity because it treats us as predictable units to be managed. As the philosopher Michael Lynch puts it, privacy is closely tied to the value of individual autonomy. Without it, “I learn what reactions you will have to stimuli, why you do what you do, you will become like any other object to be manipulated. You would be, as we say, dehumanized.” Stripped of this privileged access to our inner psychology, he says, our sense of our self dies. It also does incalculable damage to democracy. Many will now think twice about who they associate with online and what websites they visit. They will think differently about what it is ‘to be different’. The danger is that you will be branded an ‘extremist’ by the state or that you could find yourself blackmailed by one of the many thousands of personnel who can access the system without authorisation. Even members of the public whose online activities are entirely ‘innocent’ should consider the benefits they derive from living in a society in which others can exercise freedoms of speech and association in order to hold power accountable. The threat of terrorist attacks in the UK requires a calm-headed and proportionate response. Human rights groups have made the case that there should be targeted surveillance based on suspicion and that collected data should be kept for limited periods and for the specific purposes for which it is intended. The clamour by politicians for more powers that follows every terrorist attack (no matter the facts of the case) is draconian and misguided and does nothing to address the underlying political and social conditions that explain why British citizens leave home to join groups like ISIS. The response to Snowden in the UK has been pretty dispiriting. The media has been near silent on Snowden (apart from The Guardian who published his revelations), while Parliament has utterly failed as a watchdog. Guardian editor Alan Rusbridger has suggested that the issue is simply ‘too huge’ for MP’s to deal with. Although large sections of the public are concerned, there has not been the sort of anger and mobilisation necessary to halt this developing infrastructure. There is some evidence of a generational divide with younger groups less likely to rank respect for others’ privacy as an important value compared to older generations. How can a political coalition be formed to take back our privacy? Is the existing framework of human rights law sufficient? What new legal and political protections are needed? And what powers should the security agencies have to fulfil their function? These are some of the questions we will be looking to explore. The openness encouraged (and required) by social media, apps and nearly every commercial website we visit perhaps explains the lack of widespread anger at state spying. People see clear benefits in divulging their information to companies, which includes convenience and free and personalised services. The net also provides a space to affirm and develop our identities. As Ian Brown, of the Oxford Internet Institute, writes, the ‘internet has given individuals greater opportunities to express and develop marginalized identities (e.g., sexuality and fringe ideologies), and to overcome social anxiety’. The worry is that people are not adequately informed about the effects of this informational transfer, and what private corporations do with their data. Thoughts and indiscretions shared online can be monitored years later by employers, schools, universities, and insurance companies, among others. Twitter recently announced plans to sell off trillions of its users’ tweets. They maintain that anything said on Twitter is said on a ‘public platform’ and should therefore be available to specialised corporate data-miners who will assemble personalised profiles with which businesses can customise products and services. The announcement of a loved one dying is apparently a legitimate piece of public information to be exploited by companies: according to Twitter. Do its users know this is what they have signed up to! It is all very creepy. Thoughts, attitudes, emotions, friendships - all are now ‘datafied’. Inferences will be drawn from this data, with all context removed, leaving room for distortion, embarrassment and worse. Conceivably, the information assembled will provide a window into our deepest inner world, revealing things about us that we ourselves do not know (and would want to keep private if we did). This represents a fundamental shift in the balance of power in the favour of corporations. Mark Zuckerberg has said that each of us only has one single true identity. This crude vision underpins the infrastructure through which millions organise their social lives and online identities. It is at odds with the variety of different social roles many of us play (worker, activist, student, boss, romantic prospect) and the anxiety and disorientation that can arise when one context spills over into another and we lose all ability to order them for ourselves. These concerns will be amplified with the ‘internet of things’ that will track our physical objects and the increasing use of facial recognition software. How should we understand privacy in the different contexts in which we live and interact online? What powers should consumers have over their data? How can the power of corporations and advertisers be reined in? Under these conditions, what will a defence of our right to manage our own affairs and our own identities look like in the future?